Sophisticated home w/patios, pergolas & gardens that will have you ooohing & awwwing before you even get inside! 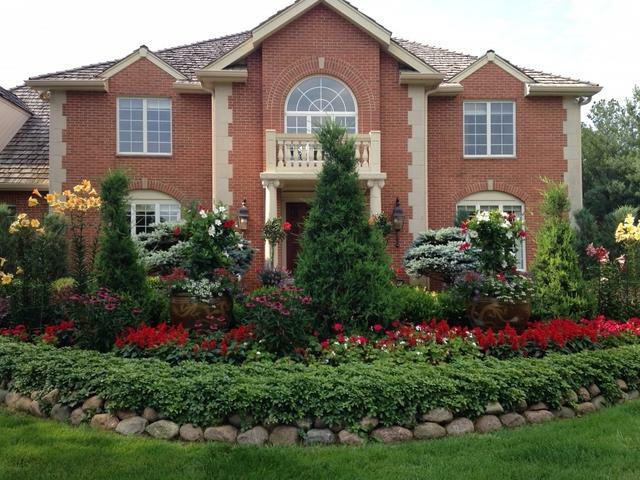 Exquisite property is masterfully planned to provide year-round color, texture & views! Step inside this gorgeous home w/floor to ceiling windows & large foyer w/abundant sunlight flows effortlessly into FR & enormous eat-in kitchen w/custom cabinetry, granite, high end appliances including Wolf, Miele, Thermador & separate Sub Zero refrigerator/freezer! 5-seat island, skylights & patio access! Main floor has office w/fireplace & separate laundry / mud rooms! 4 bedrooms/3 full baths on 2nd level plus a 66' x 24' bonus/storage room! Master suite w/large walk-in closet, FP, tray ceiling & octagonal sitting room that is elegant & inviting. Opportunities like this don't come around often, don't miss this one! Original owners have taken incredible care of the home & property! Pride of ownership is evident throughout w/over $1.5M invested over recent years! © 2019 Midwest Real Estate Data LLC. All rights reserved. IDX information is provided exclusively for consumers' personal, non-commercial use and may not be used for any purpose other than to identify prospective properties consumers may be interested in purchasing. Information is deemed reliable but is not guaranteed accurate by the MLS or Ani Real Estate. The data relating to real estate for sale on this website comes in part from the Broker Reciprocity program of Midwest Real Estate Data LLC. Real Estate listings held by brokerage firms other than Ani Real Estate are marked with the Broker Reciprocity logo or the Broker Reciprocity thumbnail logo (a little black house) and detailed information about them includes the names of the listing broker. Some properties which appear for sale on this website may subsequently have sold and may no longer be available. NOTICE: Many homes contain recording devices, and buyers should be aware they may be recorded during a showing. Data last updated: 2019-04-26T09:52:56.307.